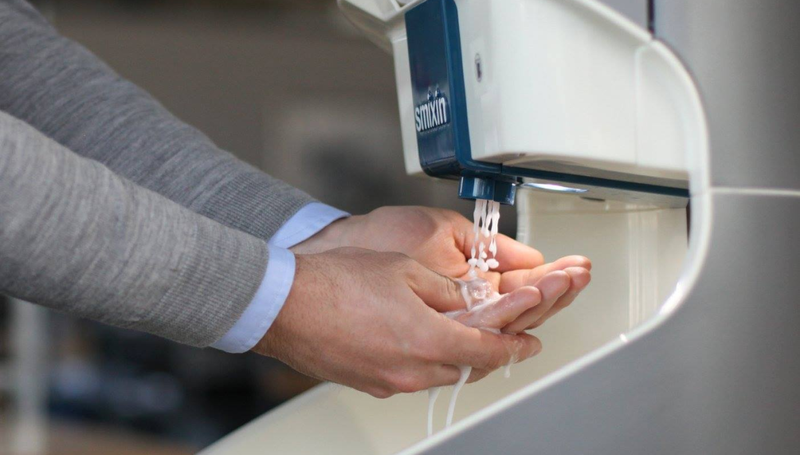 The Smixin Hand washing system has a built-in technology that allows for the optimal dosing, metering and mixing of soap, water, which results in 90% less water and 60% less soap usage. The startup has already attracted customers from more than seven countries worldwide. Striving to continue developing innovative solutions to promote hygiene, Smixin has entered a long-term partnership with CWS boco. The latter is a subsidiary of Haniel and a global provider of washroom hygiene solutions – including dispensers for towels, soaps, fragrances and their contents – dirt-trapping mats, workwear, and protective clothing. With more than 120 years in the industry, CWS-boco employs 10,800 people in 16 countries. In 2017, the company generated a turnover of 971 million Euro. The decision to partner comes after the successful development of a joint product in between July and December in 2018. The cooperation with CWS-boco therefore represents the next logical step towards the digital and hygienic transformation of hand hygiene in public spaces that Smixin has been pushing. “We always aim for the best hygiene solutions possible, which is why we are constantly on the lookout for new ideas and products which deliver value and contribute to an enhanced hygiene standard,” said Johannes Winterhager, Managing Director Complete Washroom Concepts at CWS-boco. “Our investment and the establishment of the partnership with Smixin will add to our strong position as a hygiene specialist in the washroom services market,” adds Winterhager. As part of their agreement, CWS-boco will hold 12.5 percent of the shares of Biel-Bienne based Smixin SA, giving the two parties the opportunity to leverage each other’s’ strengths and experience to develop innovative and sustainable hygiene solutions for the highest standards of hand hygiene. 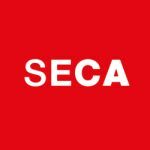 The cooperation will begin in the DACH and Benelux markets as of February 2019.